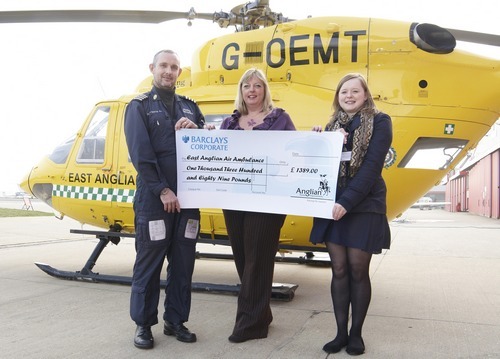 Through numerous dress down days and other events throughout the year, mainly on the last Friday of every month, the staff at Anglian Home Improvements have generously raised £1,389 to donate to the East Anglian Air Ambulance to help them to continue running their priceless service. The East Anglian Air Ambulance now runs two fully medically equipped helicopters (code-named Anglia One and Anglia Two) serving the people of Bedfordshire, Cambridgeshire, Norfolk and Suffolk. Between the two helicopters they are able to provide a life-saving resource reaching patients quickly and if required, transporting them to hospital within minutes. They receive no Government funding and require £4.2million per year to keep the service running. On-going public support is essential to enable them to continue offering this vital service. 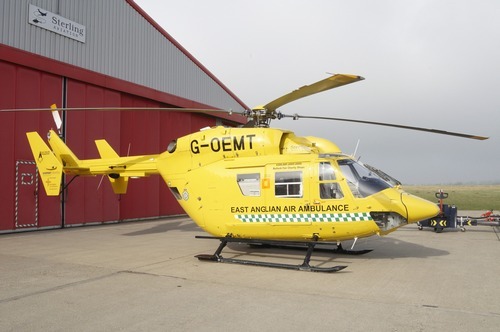 If you would like to donate to the East Anglian Air Ambulance and help them continue offering a life saving service follow this link. Anglian Home Improvements raising the standard since 1966. Visit the Anglian website for information on our home improvement products.